Important Considerations for Home Additions - Armchair Builder :: Blog :: Build, renovate, & repair your own home. Save money as an owner builder.- Armchair Builder :: Blog :: Build, renovate, & repair your own home. Save money as an owner builder. As your family’s needs change, your home needs to change as well. Maybe a new baby is on the way and a second bathroom or third bedroom is needed. If you’ve already finished your basement or don’t have a basement, you may have decided that putting a new addition onto your home is the best way to add needed square footage. Here we will discuss important items to consider as an owner-builder when planning for your new addition. Even if you decide to go with a full service contractor, you will want to go through these initial planning tips to ensure your project is built correctly. As a professional builder, I always cringe when I see a finished addition that is obviously an addition. The goal is to blend the new part of the house in with the old. Using the same or similar materials as the existing house is a start. Even if the existing house materials are no longer available, it’s possible to choose complimentary items that will fit the design. Bringing the existing architectural details to the new addition is also important. Things like roof overhangs, trim details, colors…etc. are all very important aspects in design that will help the new space “fit in” with the old. Before you get to far along in your planning process for a new addition, be sure to stop by the local zoning department to make sure you have the necessary space on your property for the new structure. Each municipality has requirements called setbacks that limit where a home can be built on a given lot. If your plans don’t fit within the requirements you can either attempt to get a variance or come up with another option to add space (i.e. build up instead of out). Many communities have homeowner’s association whose goal is to protect the value and improve the livability of the neighborhood. These groups many times have special requirements for any alterations to existing homes. Be sure to check with them prior to moving forward with any outside work on your home. One of the more difficult things to do when adding on to a home is to match floor and roof lines or elevations. It all starts with the placement of the foundation so make sure each subcontractor is on board with the importance of their activity. If the people digging for the foundation don’t get the depth right, everything after them will be off including the foundation, the framing, the floors and roof. This is hopefully pretty obvious for most people, but the implementation can be challenging. Rain, cold temperatures, and insects can be very challenging depending on the climate and location of the building site. Be sure to think through each phase of construction to make certain the existing home will remain livable during construction. Whenever living space is added to a home, it’s extremely important to review the existing heating and cooling equipment to make certain it will perform properly. A competent heating contractor can review the plans, specifications, and existing equipment and determine whether upgrades will be needed. Don’t forget this important step as HVAC rework can be very difficult once the work is complete. Armchair Builder was contacted by a reader several years back that had an addition put on with the wrong sized duct work. The solution to this problem was to remove drywall and run new ducts to the addition. Needless to say, this work was messy and very expensive. 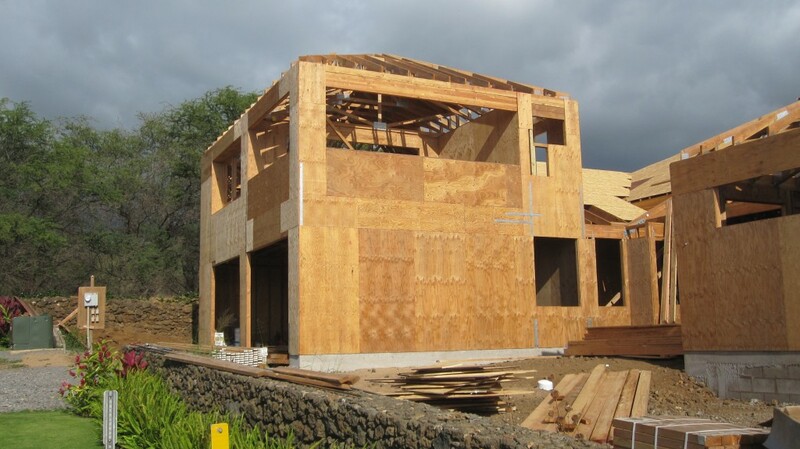 These are all very important items to consider prior to starting a home addition project. If you’re thinking about managing the process yourself as an owner builder, be sure to check out our e-Store for some builder tools to help get it done with the least possible cost and trouble. << Do Owner Builders Do All the Physical Labor?